Rashida remembers her arrival in October 1966, aged 8, and her impressions of the Britain's "harsh winters" and "soft fluffy snow"
Rashida Patel, proud owner of the Barton Street’s Al-Murad Tiles and former parent-governor of Widden School, recalls her life in Barton Street. Her father moved to Britain in 1962 from the then “poor, agricultural area” of Gujarat, India. Rashida arrived four years later in October 1962 aged just eight years old. In excerpts one and two, she remembers her first impressions of Gloucester and the education she received at Widden School. Rashida goes on to talk about the incredible diversity within the Muslim community from Gujarat, compares the experiences of those who came to Gloucester from abroad with those who have been born here, and explains why she considers Barton her home after 50 years there. 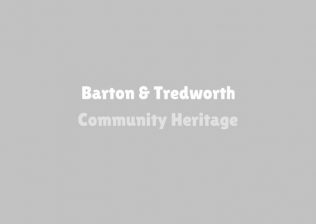 In the final clip, she takes about how “proud” she feels to live in Barton, her pride in the area’s “strong history”, and how that history should be built on by the area’s communities because “history is the thing that leads us to be proud and to value our achievements”. 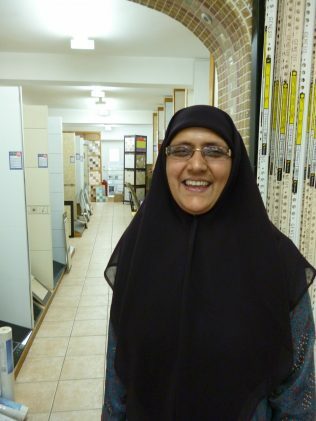 If you would like to learn more about Rashida’s business and her father’s life why not explore our page on her shop, Al-Murad Tiles, in our Working in Barton and Tredworth category?